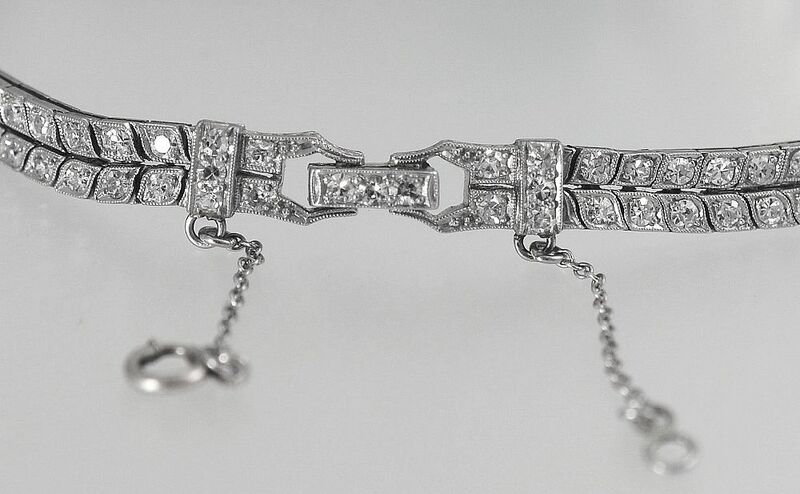 This beautiful Art Deco style platinum emerald and diamond bracelet has a large rectangular emerald in an engraved rubover platinum setting at its centre. On each side of the emerald are three graduated platinum box settings each set with a round diamond. 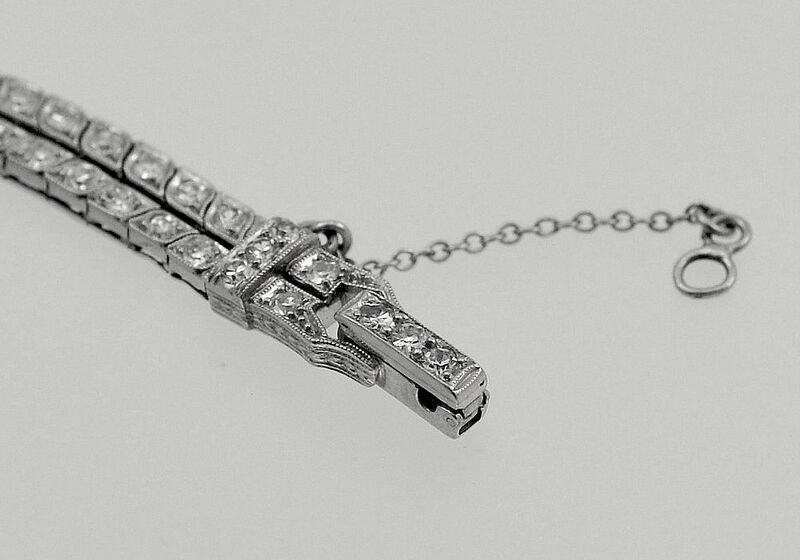 The box settings are attached to a double row of round diamonds set in leaf shaped platinum settings. 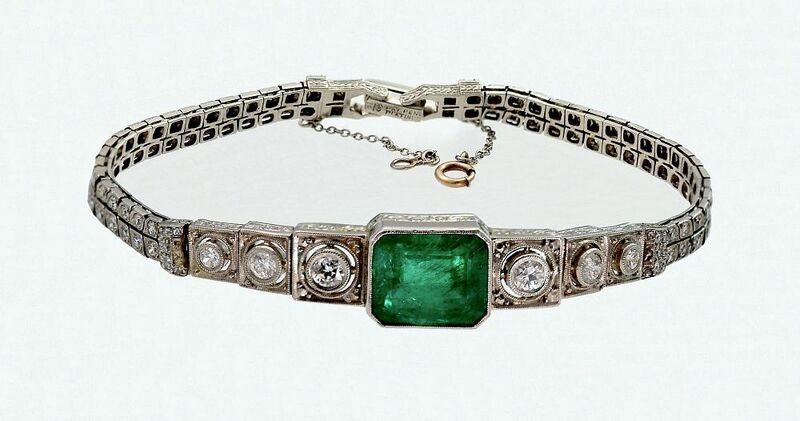 The large emerald has been protected by the rubover setting so that this very elegant bracelet can be worn as frequently as it deserves. The emerald shows no signs of oil treatment.